Mark your calendar for this special evening! Many thanks to Terry Gonzales and Freeman Fry for donating the two lovely door prizes. Buy a ticket at the reception for a chance to win these beautiful works of art. Several artists opened their homes and studios March 22 during the Sonoran Shindig. I really enjoy seeing artists in their work spaces — you can almost feel the creativity and color in the air. Grow it, paint it, eat it! Grow it, paint it, eat it. That’s the theme that artist Terry Gonzales suggested for our August Challenge. He and his wife, Claire Bistline, submitted these 3 pieces. 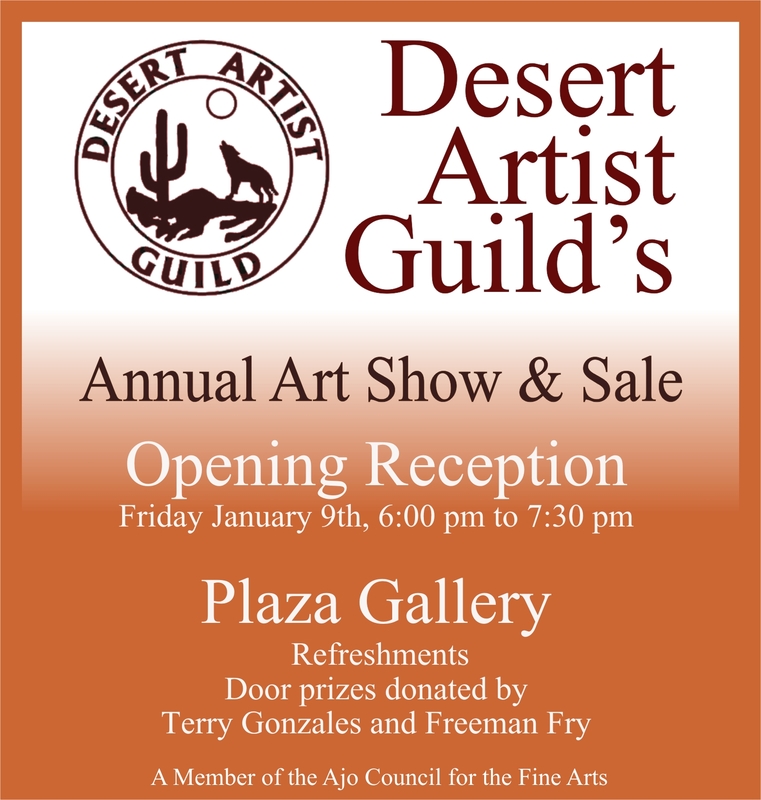 Artist Terry Gonzales spends his time between the deserts of southwestern Arizona and the Pacific northwest. If you’d like to see more of Terry’s work, check out his website.